The month of January turned out to be very busy with my job so not much quilting time was available, not even on weekends. 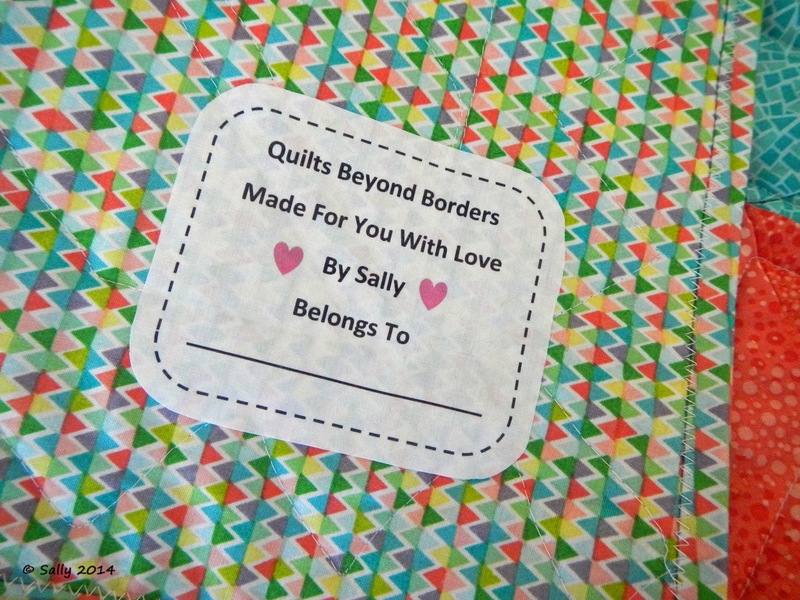 I made up for it last month sewing up two more quilt tops for Quilts Beyond Borders and then quilting them on my trips home. I finished up the binding this week. 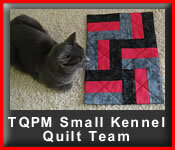 Hard to believe I have completed seven quilts for QBB now! As I have said in prior QBB posts, I love the practice on my longarm machine I get, but I am finding I enjoy the creative side to coming up with new patterns. I use my EQ7 software to do this. 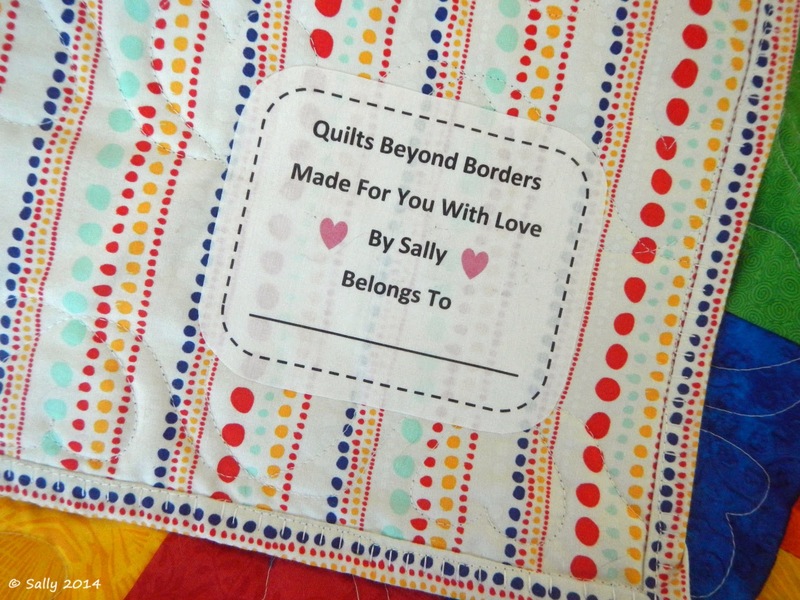 Who wants to make the same quilt over and over again? Not me! 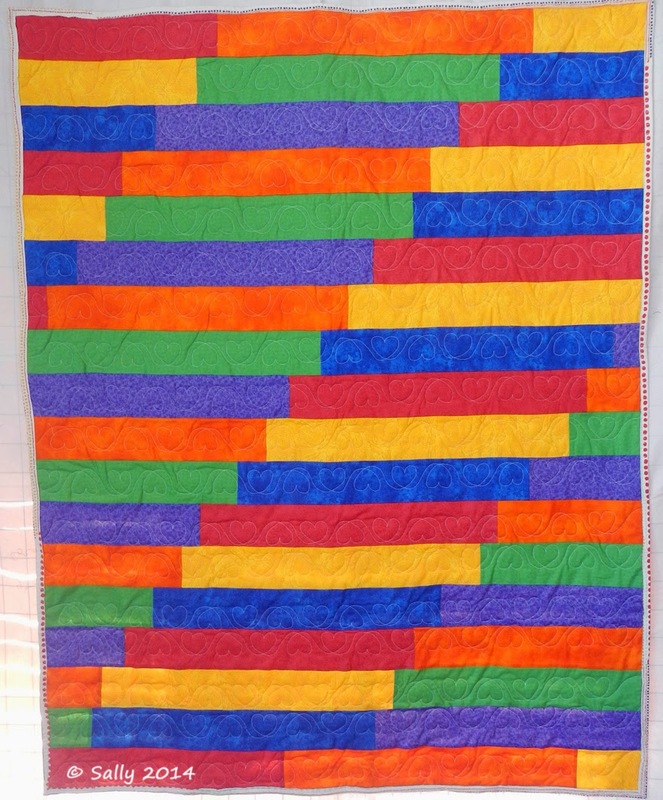 For this quilt I cut 3" strips and sewed them "jelly roll race" style. It went together quickly. 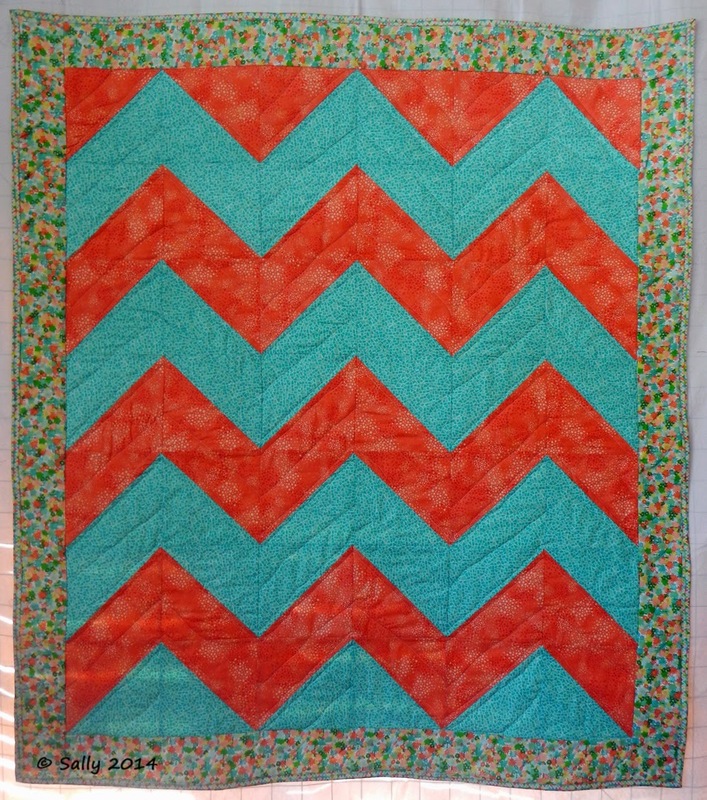 I am not thrilled by the lack of randomness I was hoping for but I know some child will enjoy the bright colors. Me. Living in Washington state. © 2012 All rights reserved. Photography by Sally S unless otherwise specified. Powered by Blogger.